New Delhi. Pakistani cleric Tahirul Qadri’s visit to India has run into trouble after security agencies red-flagged his recent speech that “Kashmiris should be able to choose freedom through a plebiscite.” His visa was cleared by the Ministry of External Affairs, but the Home Ministry is learnt to have blocked it, sources said. Mr. Tahirul Qadri has been associated with Prime Minister Imran Khan’s campaigns in the past, and his visit was being seen as a confidence-building measure. Mr. Qadri said in a video message posted on January 2 that he was coming to India at the request of Home Minister Rajnath Singh, and the invitation was extended to him through the Lucknow-based Shia cleric Kalbe Jawad. Mr. Jawad could not be reached for comments. Mr. Qadri says he has received Mr. Singh’s paigaam (message) and dawatnama(dinner request) through Mr. Jawad and he has given his consent for the same. 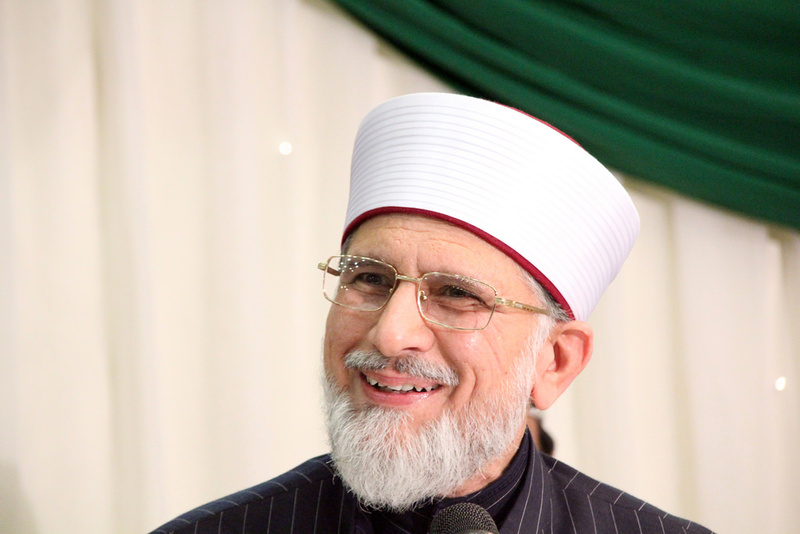 Minhaj-ul-Quran International, the organisation run by Mr. Qadri also posted a video message on January 3 where he said that he will begin his India visit from Lucknow on February 8 and will be here for another 12 days. He said he also wished to visit the Ajmer Sharif Dargah and would hold congregations at Kanpur, Ahmedabad, Kolkata and Delhi. A senior government official said the security agencies red-flagged Mr. Qadri’s message on Kashmir. “We had no problem with his visit, but on February 6 his statement on Kashmir surfaced where he said that 70,000 Kashmiris have lost their lives yet they are unable to get independence. In the wake of this, the visa clearance didn’t come through,” said the official. The Indian High Commission in Islamabad could process the visa only after the Intelligence Bureau (IB) and the Research and Analysis Wing (R&AW) have given a security clearance from their end in Delhi, an internal procedure for visas to Pakistani and Pakistani-origin people. Syed Nadeali, the chairperson of Minhaj in India said the visa was still under process. “We are told that some documents are missing and he will get a visa soon. The news of him being denied a visa is fake,” Mr. Nadeali said on phone from Ahmedabad. Another official said the reason for denial is due to heightened sensitivities over comments from Pakistan on Kashmir and the state of minorities in India.